Antocha crane flies have been a staple of summertime on the lower Deschutes all of the years I’ve fished the lower river. And that’s a lot of years (measurable in decades). I’d say how many years, but it would make me feel old, very old. Not as old as some of my friends and fellow anglers, but old. An Antocha crane fly occupying its place in nature. 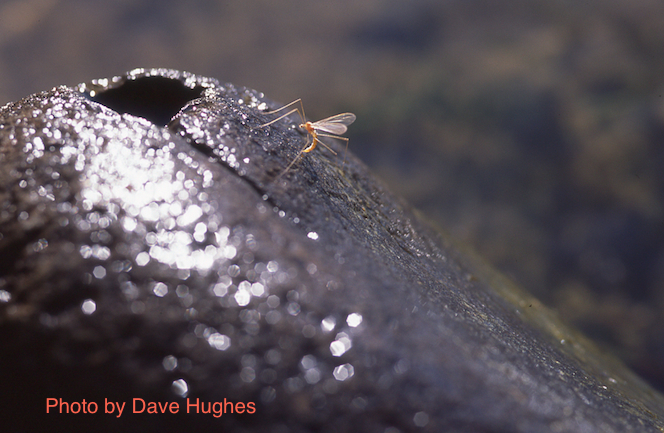 These small flies (of the order Diptera, family Tipulidae) are most typically seen perched on rocks in river water, occupying the wet surface of the rock where air and water meet. They are frequently seen to be doing push-ups as they mate and lay eggs. They are made available to fish when wave action sometimes washes them off of the rocks they occupy. I often imitated these flies with a size 16 or 18 pink bodied compara-dun, which simultaneously imitated pale morning duns, which hatched concurrently with the annual appearance of crane flies on the lower Deschutes. Three years ago these small dipterids began to disappear on the lower Deschutes. It was one of the events that turned out to be a harbinger of things to come. This past summer, only two individual crane fly sightings (of one crane fly each) were reported to the DRA’s Rick Hafele through guide and angler-generated hatch observations. I personally spent nearly sixty days on the river doing fieldwork this summer, and saw none. In the past, I saw them by the thousands, perhaps even hundreds of thousands. 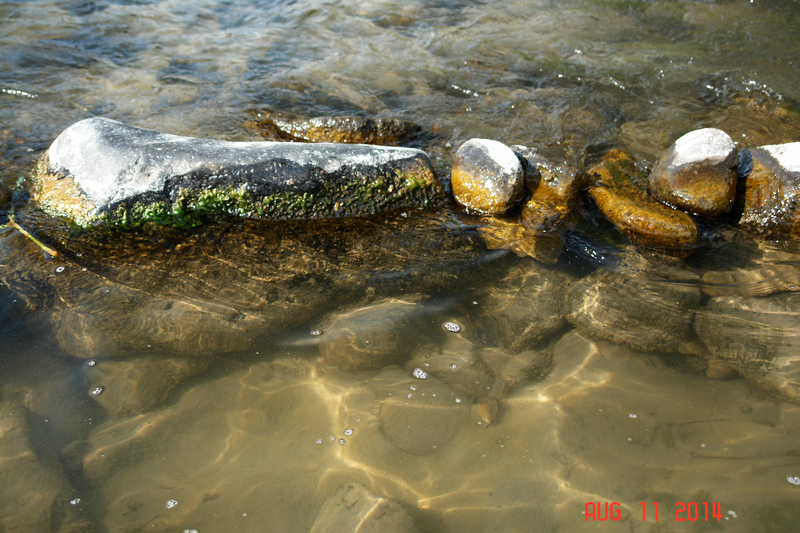 At their peak activity, they literally rimmed wet river rocks that had any exposed surface above the water line. Note that the water line is covered with algae. In the first picture, the rock surface is clean. In the second, algae obscure the wet rock surfaces. We are currently hypothesizing that the algae prevent the crane flies from either being able to occupy these rocky surfaces, prevent egg laying , or alter egg survival. We do know that the timing of the appearance of these nuisance algae is in line with the loss of crane fly populations in the lower Deschutes. How important is this loss of Antocha crane flies? No one knows. But rarely is the unintended loss of a benign species a good sign. We know that other aquatic insects have declined in numbers. Our aquatic insect hatch database confirms this (last years report, from our initial pilot study, can be found here). 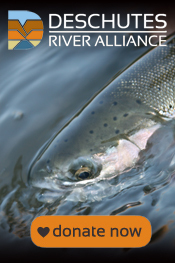 In another month or so we will have the results of our water quality-monitoring project ready for release. The data are currently undergoing statistical analysis, and once this is complete, report writing will begin. Algae growth and proliferation like we are seeing in the lower Deschutes the past three to four years is a consequence of a change in water quality, specifically nutrient loading. Watch this website and blog for news on what we found.